I read with interest this week that the Bar Council, the Chartered Institute of Legal Executives and the Law Society have recently issued guidelines for lawyers working in the civil court where the other side are representing themselves. Known as ‘Litigants in person’, or LIPs (as I will refer to them in this article). This flurry of activity has been in response to a huge rise in LIPs in the wake of legal aid cuts and the increased costs of court proceedings. Among instructions about the blurred line between helping civilians and possible conflict of interest, is also guidance on not using legal jargon where possible and to explain it to the LIP whenever it comes up. 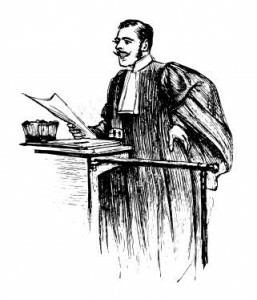 There have always been LIPs and unqualified professionals helping people out in court or even presenting cases. In 25 years I’ve worked on literally hundreds, as both a Tenancy Relations Officer defending repossessions on rent and mortgages and as a duty adviser in a local county court, picking up 10 to 15 cases a day. If it isn’t your case, in other words if you aren’t actually a LIP then you have no right to speak but to avoid the often shambolic representations of LIPs trying to present a case with absolutely no knowledge at all, a county court judge will usually let the unqualified rep speak to save their blood pressure, especially if they are from some form of advice agency who does the work all the time. Apart from LIPs only qualified legal reps have a right of audience. In possession cases council housing officers also have a right of audience but interestingly not housing association housing officers, who technically have to ask for judges permission each time. 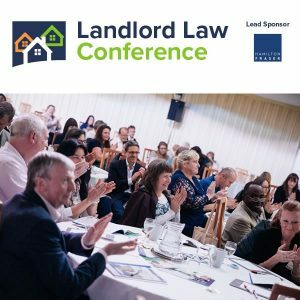 In practice it rarely happens and permission is presumed given, unless you are my sister, a housing association housing officer in Hampshire where her local court will not allow it, forcing the organisation to hire a lawyer for every repossession case, thus forcing up costs for the hapless tenant. ‘MacKenzie Friends’ are another alternative. A MacKenzie can sit with the LIP for moral support and a bit of advice but isnt allowed to speak unless addressed directly by the judge. The big problem for LIPs trying to win their case lies in not understanding the court procedures and rules that are phenomenally complicated. It’s a mistake to think that judges can just make whatever decisions they like (Although some seem to) In practice the judge’s powers are quite tightly proscribed by the Civil Procedure Rules (CPRs), the Practice Directions and statutes, such as The Administration of Justices Act 1970. Judges can adjourn, suspend, set aside etc but only if the circumstances presented to them fit the conditions that allows them to do so. It’s the job of the lawyer, representative or LIP to present their case in such a way that ticks the boxes that they know the judge is following in their head, in order to win their point. I once went to court to help a client defend a mortgage repossession on a Monday morning. Over the weekend she had obviously been listening to her mates who all turned up in court with her and she decided that she didn’t want me to advance the legal points I had ready to go and wanted to represent herself. The case that she presented was that despite £15,000 of mortgage arrears the house should not be repossessed because she had spent so much money decorating it tastefully that it would be a crying shame. None of which triggered the judge’s powers to halt possession as it wasnt a legal argument. Needless to say, she lost her home. Another mistake LIPs make regularly is waffling on for hours. This makes a judge angry and doesn’t do the LIP any favours. In busy courts judges may well be doing 30 or more repossession cases in a single day and are crucially aware of the list and the pressures on their time. I learnt long ago, keep your points to the rules governing the judges discretion, get everything you need into your argument so you can tie your case up in a neat little bow and then shut up. The worst crime a LIP can commit is arguing with the judge. Little in life can be as intimidating as being under the laser-like glare of an angry DJ who is being talked over or told they don’t know the law, a mistake I have even seen inexperienced lawyers make on more than one occasion. The trouble is, our legal system has been under attack for several years resulting in people not having access to justice and having to go it alone, if at all. This is particularly appalling when it comes to matters relating to repossession and family law, which if anything is even more complicated than housing. Says the man who’s party cut legal aid and then blames it on lawyers. And I include myself in there too. If I have become quite accomplished at being a non qualified representative but it wasn’t always that way. My first case was in 1990. I had been a TRO for only 3 weeks. 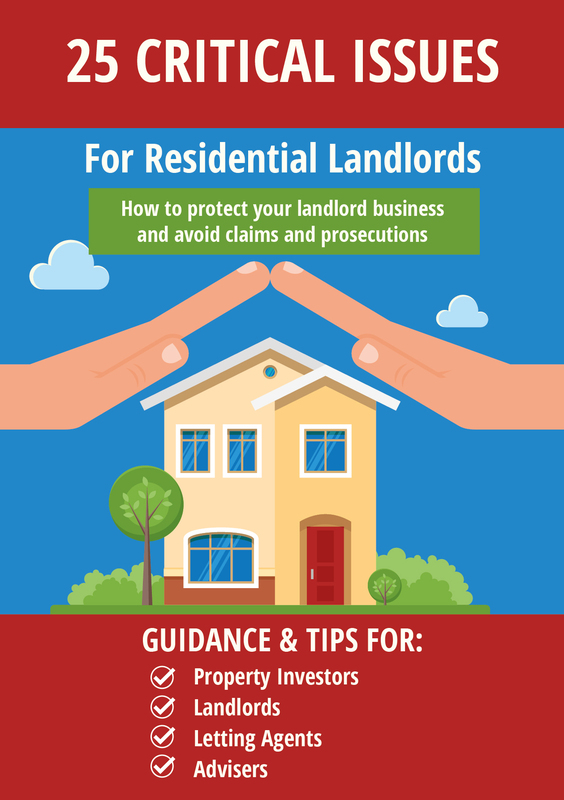 A client came in facing imminent repossession and my boss was off, so I called the TRO for neighbouring Greenwich Council and asked what I should do. He said “Easy. Go to court, cite County Court Order 26, rule 13”. I was so Naïve I thought that was all their was to it. I didn’t even bother to look it up. The next day I stood proudly before the judge and repeated exactly what I was told about County Court order 26, Rule 13. The judge stared blankly back at me and said “And what on earth is that?”. My façade completely crumbled and I had to admit I had no idea, offering pathetically “Someone just told me to come here and say that”. The judge sighed and rolled his eyes but the Court Rule book out, figured out what I was trying to do. I won the case. So don’t let inexperience or stupidity stop you being a LIP. I’ve built a career out of these qualities. 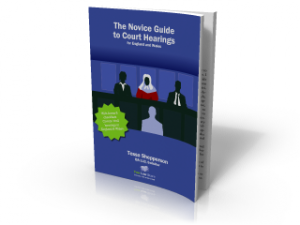 If you are due to represent yourself at court, check out Tessa’s ebook ‘The Novice Guide to Court Hearings‘ which explains how hearings in the civil court work and gives guidance on how to prove your claim to the Judge. Interesting article Ben, although I do see where Mr Gove is coming from with that quotation. The current system has evolved without any significant thought given to victims’ rights, particularly in cases of abuse and sexual assault. On the whole the court system evolves around convenience for Judges and getting the best value out of them. Understandable as they are expensive but support for victims is rather a long way behind. My only gripe about LiP is costs. If I lose against a represented case, I am on the hook for thousands in costs- fair enough, I accept that and know the risk before I start. But if I win, I only get 9 quid an hour. The dice is loaded, it is a lawyers monopoly racket. I’d like judges to have more discretion rather than just the flat rate fee. Just today a number of criminal law firms are protesting by refusing to take on legal aid work http://www.bbc.co.uk/news/uk-england-33336651 following an announcement of a further 1£1.7 billion cuts which will again hit the less well off. HB thinks he deserves the same reimbursement as a *qualified lawyer* now. Chuckle. 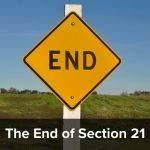 So what on earth is County Court order 26, Rule 13? I want to know now. Haha, it was about a tenant getting themselves named in possession action (joined to the proceedings) brought against the landlord so she could ask the judge to suspend the building society’s warrant to allow her time to find somewhere else to live. Good to know there are decent folk out there who go that extra mile to save people’s homes. I spent years working in the local authority struggling to do this, as do an army of housing advisers who similarly work for nothing to keep people from homelessness. There are companies out there who sell people’s details on to investors looking for a quick buck I’ve heard.